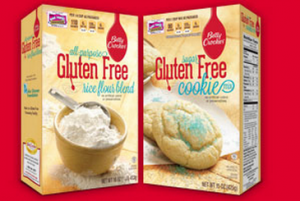 FREE Box of Betty Crocker Gluten FREE Cookie Mix! Request a coupon for a FREE box of Betty Crocker Gluten Free Cookie Mix. All you need to do is like them on facebook. While supplies last so hurry!! I’m going to try this! My Mom is eating gluten FREE and feeling much better for it!! Click here to grab yours! !